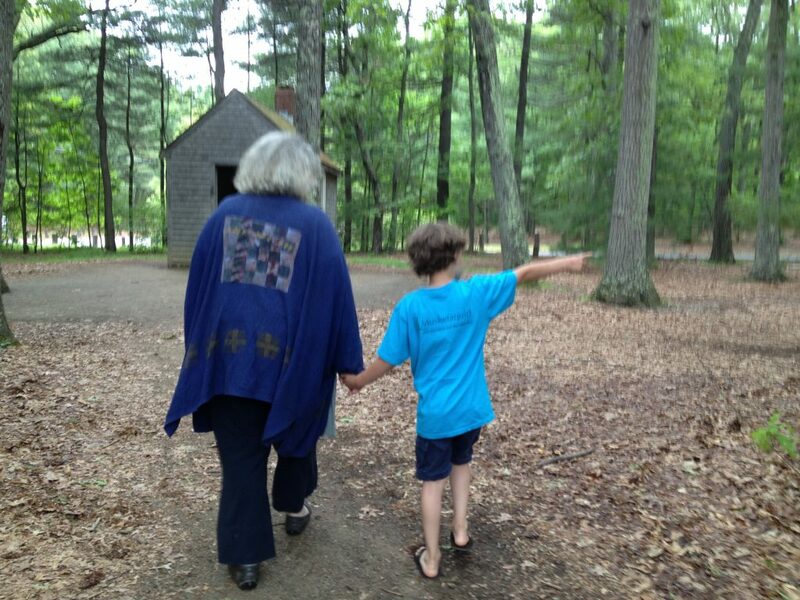 It was a delight to host Starhawk in our home in Concord, MA. 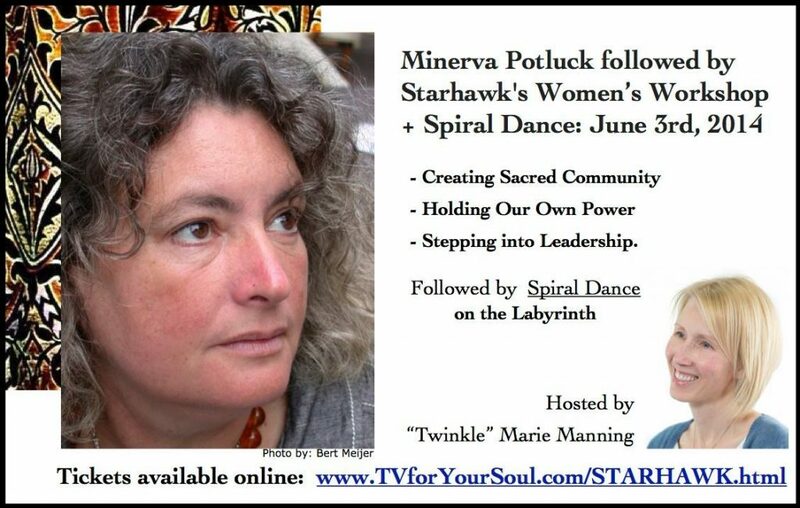 To celebrate our Minerva Potluck and Spiral Dance together, along with her Women’s Workshop was an incredible experience. Bringing her into our studio to record episodes of Empowering Women and The Goddess Show – amazing! Watching the Daily Show in the evening with her – Priceless!! 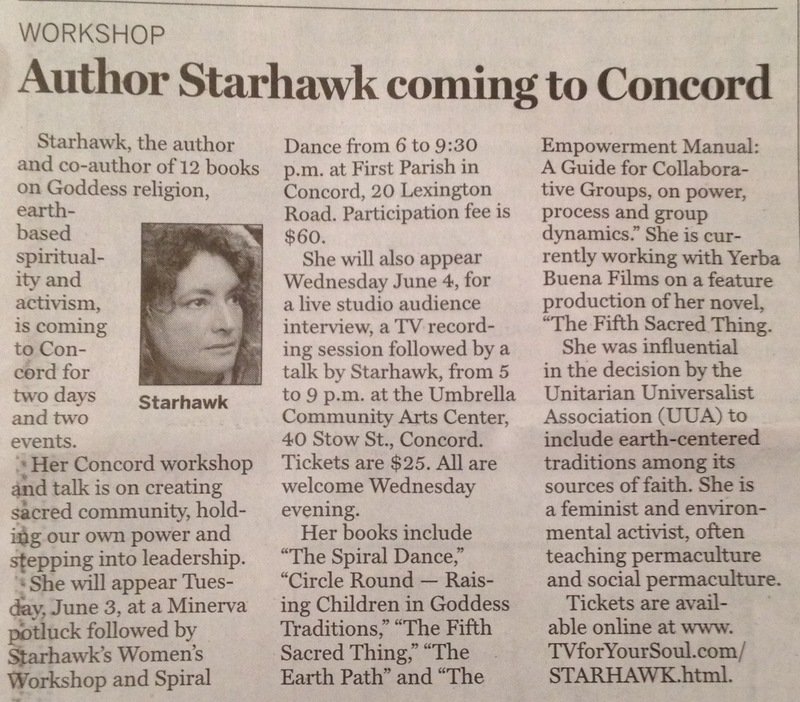 We encourage everyone to support her important work. 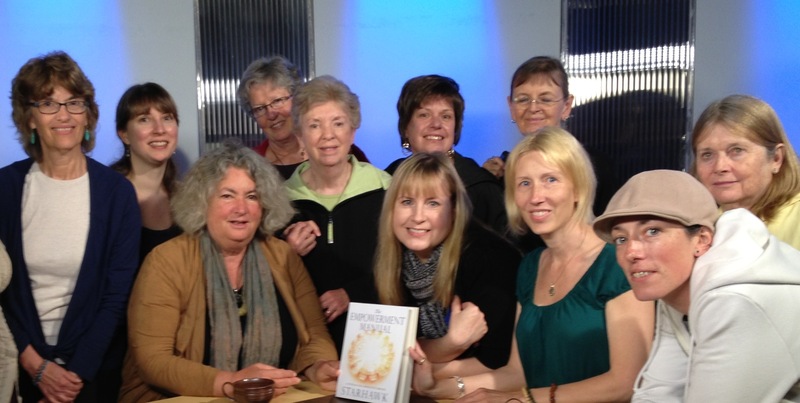 Members of our Circle of Women after our intimate luncheon: Karen, Starhawk, Twinkle, Suzanne, Lois & Margaret. Cast, Crew and some Audience Members at the TV for Your Soul Studios in Lexington MA. 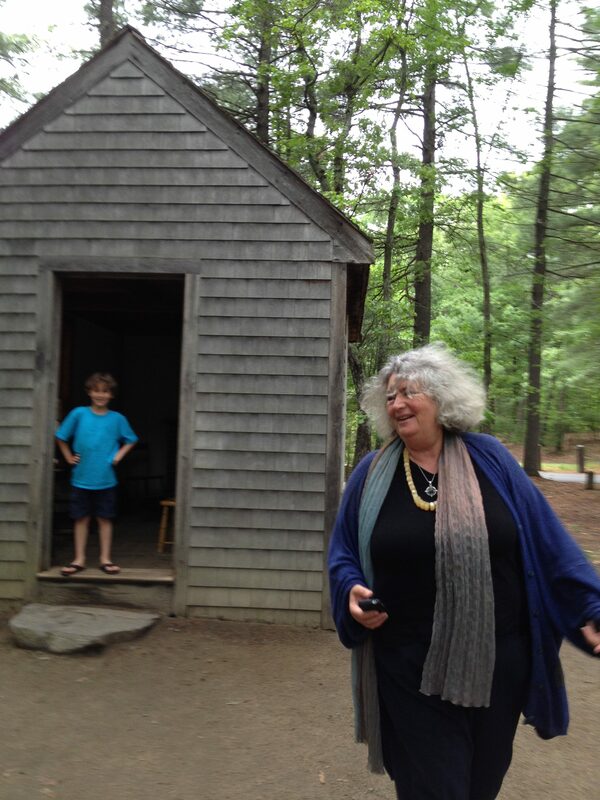 Twinkle’s son (Orion) standing in the doorway of Thoreau’s cabin while enjoying a walk with Starhawk.